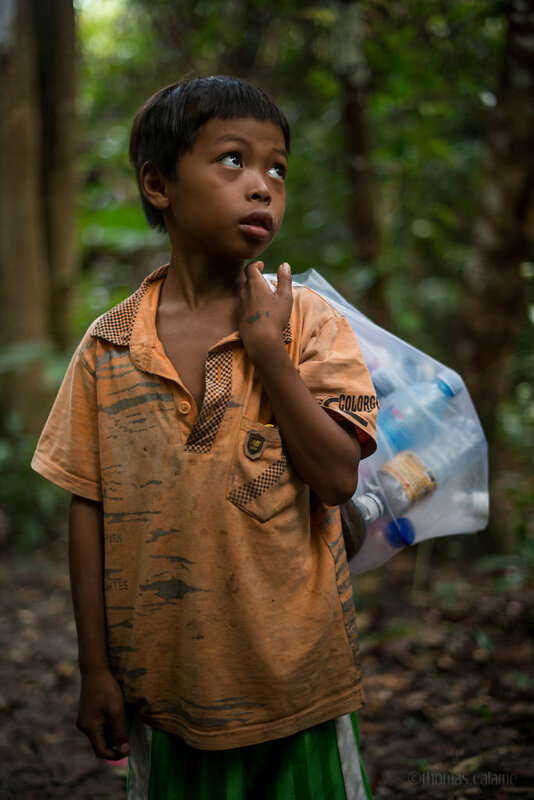 A talkative child following me during my wildlife survey and collecting plastic bottle in the forest of Phnom Kulen (Cambodia). Plastic bottles and cans are picked up but for other trash dumping grounds are improvised in the forest. Although the entrance fee of this Eastern side of Phnom Kulen is 20$ per person, no waste collecting is organized and no money is put back to the management of the protected area nor villages' livelihood.